A closer look at a new documentary. I was left feeling an odd mixture of sympathy and exasperation after enduring John Pilger’s latest documentary, The Coming War on China. Despite the journalist’s long career of opposing tyranny, oppression, and dictatorship wherever he may find it, Pilger’s loathing of the United States has led him to produce a film that acts as an apology for Chinese totalitarianism, distorts the truth about Asian politics, and presents China as a passive victim in a potential new superpower war. Actually, my sympathy for his intellectual descent is less sincere than my anger; what I watched was an incendiary spectacle that manages to circle the triumvirate of narcissism, ignorance, and propaganda. I must admit a few things first. Among others it was Pilger who first sparked my interest in journalism. He gave me a short interview I published in December 2014. Later, I interviewed him again for an article I wrote on the 40th anniversary of the end of the Vietnam War. Afterwards, however, we stopped conversing by email for a number of reasons. Now, with personal reasons in light and with personal reasons aside, let me come to The Coming War on China, which was released at selected cinemas in Britain this month. First, the title had me concerned. “With” might have given the sense of shared responsibility for the possible war, but only an aggressor commits a war “on” another country. Pilger’s intellect cannot be doubted, so his semantic choice must have been intentional. Much of the first 40 minutes of the 122 minute long documentary explores the United States’ destruction of Marshall Islands, used in the 1940s as a site for nuclear testing. It is upsetting and disturbing viewing, complete with the racist language of the 1940s and 1950s and the ease in which the people of the islands were exploited by the American government. It compares in effect to Pilger’s documentary on the destruction of the Chagos Islands, Stealing a Nation. A short part compares how the wealthy American expats live on the islands compared to the destitute locals, which is termed by Pilger as “apartheid in the Pacific.” Again, this is heartbreaking. But, I found myself asking as the sequence ended, what does this have to do with the topic of the documentary: escalating tensions between the United States and China in the 21st century? Certainly what the United States did was a crime, but it was a crime committed decades ago. And except that the Marshall Islands are home to U.S. missile bases, there appears to be no other connection to the rest of the documentary. The Coming War on China does not engage in lies but it evades the truth so much that it is rendered invisible. (One doesn’t know whether Pilger appreciates his thoughts are often verbatim to what regularly appears in Chinese state television, though he fails to include one single clip from this media instead relying on a montage of American news shows to indicate a warmongering United States.) If, according to Joseph Goebbels, by telling a lie enough times it becomes the truth, then the reverse is also true: by evading the truth enough times it becomes a lie. This is what Pilger does throughout. For example, at the same time as the United States was tricking the people of the Marshall Islands back onto into highly contaminated and radiated homes, leaving many to die, the Communist Party of China was launching a nationwide campaign to suppress counter-revolutionaries. The official number of deaths when it came to an end was as high as 700,000, though some historians put it around the two million mark. The latter is not mentioned by Pilger. In fact, even the casual viewer would probably notice that he fails to mention any of the crimes committed by the CPC – even a visit to the party’s museum warrants no reference to these. For example, he mentions the Cultural Revolution in passing but doesn’t provide the unwitting viewer with the fact that as many as 30 million people died during these eleven years. He only says it gave way to “silence,” a most cruel euphemism. Indeed, Pilger is at his worst when he speaks with euphemisms, with the figurative raising of the eyebrow. He suggests that this growth of the middle class has been overlooked in the West or, perhaps, “willfully misunderstood” (This is not the first time Pilger has talked down to other journalists for not noting what he has seen). And then he suggests that since China has matched the United States at its own game of capitalism, it is “unforgivable,” supposedly, to the United States. In a long article for the New Internationalist, published this month, Pilger does at least mention that inequality is rising and protests are taking place but goes on to say that “for all the difficulties of those left behind by China’s rapid growth… what is striking is the widespread sense of optimism that buttresses the epic of change.” Where is the interest in the millions of Chinese suffering in the ilk of his 2001 documentary The New Rulers Of The World, which deplored Asia becoming the workhouse of the world and its cheap laborers the greatest export? Perhaps the most illustrative part of this documentary is the relatively short time he spends in China. There, he interviews Zhang Weiwei, the former advisor to Deng Xiaoping, who describes the former premier as a “visionary” and goes on criticize the BBC and other Western media for mentioning in their news reports that China has a communist party and is an autocracy, and dismisses these as just labels, which Pilger doesn’t respond to. “If you watch BBC or CNN or read the Economist,” Zhang says, “and try to understand China, it will be a failure.” Again, no rebuttal from Pilger. Then to Eric Li, a man Pilger describes as an entrepreneur and one of the confident political class. “In China there are a lot of problems,” Li says. “But at the moment, the Party state has proven an extraordinary ability to change.” He goes on to say that the reforms of the last 60 years are broader and greater than any other country in modern history. Pilger doesn’t ask whether these reforms were wanted by the people. He then talks to Lijia Zhang, a Beijing-based journalist who published the best-selling book, ironically titled Socialism Is Great! “Many Americans imagine,” she says, “that Chinese people live a miserable, repressed life with no freedom whatsoever. That’s not true.” She says that if you talk to Chinese people (queue videos of smiling people) they will tell you that they are happy. Amid all of this, Pilger does at least ask the question of exploitation of poor people as the principle creator of wealth. Zhang palms him off, saying that if you go and talk to the poor, the internal migrant workers, “you will be surprised that they have experienced greater increase in income than any other social groups.” Pilger does go to the poor but for less than a few minutes, simply showing their impoverished homes. 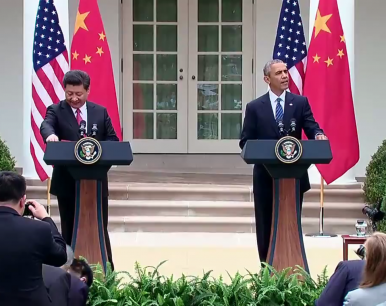 He asks Zhang about Tiananmen Square, saying the demonstrators fought for democratic change in China. “It was more than a tragedy, it was a massacre,” Pilger states, “of which the memory remains a raw presence in China.” He then asks Zhang: why does the Chinese state still fear “the few that speak out? He then informs the viewer about Liu Xiaobo, and listens as Zhang accuses the Nobel Peace Prize committee of making a “mistake” in naming Liu as a winner. “And yet in China today the spirit of protest lives on in different forms,” Pilger finishes. All in all, Pilger’s exploration of the modern-day problems of China lasts from the 55th minute until 66th, much of which is given over to optimistic interviews with Chinese commentators and former government officials, who downplay the crimes of the government. One might say, well, at least Pilger does at least consider the democratic and human rights of more than one billion people. But wait. The next section, called “Resistance,” which spans from the 66th minute until the 92nd, is dedicated to the actions of islanders in Japan and South Korea fighting against U.S. military bases – in South Korea, this takes the form of a dozen Catholics and two Quakers. Of course, the islanders’ fight is a noble one and they deserve attention. However, what is one to read from Pilger dedicating just 11 minutes to the fight of a billion people for democracy, human rights, and some autonomy from a country that happens to be the focus of the documentary, and 26 minutes to a small number of people in Japan and South Korea fighting against military bases? Pilger begins the documentary by saying it is “a film about the human spirit, and about the rise of an extraordinary resistance.” But where is the extraordinary resistance mounted against China’s foreign endeavors? Why does he not mention the resistance of the Burmese against the Myitsone Dam? Or the Lao people to stop much of the country’s north being sold for cheap to Chinese businessmen? Or, for that matter, the Lao who demonstrated against their government after China decided to build dozens of dams in the country that will destroy most of the Mekong River? Or, even give one sentence over to the anti-Chinese protests in Vietnam? It is a shame Pilger does not even mention these, or that Myanmar is now a democratic country while China was happy to allow its murderous military junta to try to create a nation of slaves. Pilger consistently glosses over China’s past crimes while dwelling on America’s. He doesn’t mention that it was China that kept the Khmer Rouge in AK-47s, preventing Cambodia for returning to peace until almost two decades after the genocidal regime was overthrown in 1979. Neither does he ever mention Tibet or the Chinese role in the Vietnam War, and its continuing propping up of North Korea. Neither does he consider China’s actions in the South China Sea in more than a passing reference. Neither, for one moment, does he consider China’s economic actions abroad in the negative. Quite the opposite, in fact. In his New Internationalist article, he lauds China’s “New Silk Road,” saying that it “has the approval of much of humanity,” adding, with a sense of anti-West triumphalism, that “along the way, [it] is uniting China and Russia; and they are doing it entirely without ‘us’ in the West.” (This goes against the noble forms of resistance against Chinese capital abroad I mentioned above). Indeed, he never considers this to be a Chinese form of globalization and, dare I say, economic imperialism – one of the world’s last Marxist-Leninist countries must have purged Lenin’s Imperialism, the Highest Stage of Capitalism from its reading list. “The initiative is a timely reminder that China under the Communist Party is building a new empire,” Friedrich Wu, a professor at the S Rajaratnam School of International Studies in Singapore, told the Financial Times last year. How can Pilger sit back and applaud the so-called “Beijing Consensus,” which exports the worse of globalization to the world – the rise of predatory capitalism without the expectation for countries to develop democratically? Pilger’s scattershots do not cohere to a conclusion; they only seek to confirm to his narrative. His anti-Americanism blurs all. In journalism circles, one could say he is not being objective. This is not necessarily a bad thing: one enjoys a good deal of subjectivity in reporting. But Pilger takes this to the extreme. It is only in the last 30 minutes that the viewer actually gets to hear anything about the coming war. Though, 30 minutes is far too long. Indeed, this 122 minute documentary only makes a few boilerplate points: U.S. military bases “encircle” China, Obama has spent more on nuclear weapons than any other president, and U.S. military officials tend to speak in a gung-ho fashion about war. Here, I agree with Pilger. The United States has built bases that surround China, the outgoing administration is spending more on nuclear weapons than predecessors, and military officials aren’t the most softly-spoken people in front of cameras. But that doesn’t mean the United States is containing China or encircling it or, worse, threatening it. Neither does Pilger look into military spending by China, which has been constant since 1994, according to data from the Stockholm International Peace Research Institute. In 1994, military expenditure was 1.7 percent of GDP, rising to 2.2 percent in 2001, and falling to 1.9 percent in 2015. In fact, as a percentage of government spending, military expenditure was more than double its 2015 value in 1994 (6.3 percent in 2015, compared to 14.4 percent in 1994). This precedes the United States’ “pivot to Asia” by more than a decade. Lastly, Pilger never inquires into whether other countries in the region might actually take the United States’ side on the issue, or, for that matter, why the countries now lining up behind China – Cambodia, Malaysia, the Philippines, Russia, and so on – tend to be either autocratic, partly democratic, or under the guardianship of populists with dictatorial-leanings. Without reference to these, his narrative tumbles into a dangerous excuse, or propaganda, for the Chinese state. A fallacy arises here. Pilger descends into the myth that the United States is all powerful – the repeated use of an image of military bases around the world seeks to convey this. Yet, if its power and warmongering attitude were true, then why, one can ask, hasn’t the United States gone to war with China already? Presumably, a conflict-craving nation wouldn’t allow China to build up its nuclear and military capabilities before attacking. The fact that China now has the world’s second largest expenditure on its military, after the United States, would actually deter the latter from attacking, one might assume. A more nuanced understanding of the situation would be to admit that both the United States and China are engaging in actions that could run the risk of sparking a new superpower war. More serious articles and books have explored the duality of the situation, treating both the United States and China as equal players, and I would recommend any of the following before watching one minute of The Coming War on China: Bill Hayton’s The South China Sea: The Struggle for Power in Asia; Lyle Goldstein’s Meeting China Halfway: How to Defuse the Emerging U.S.-China Rivalry; or Edward N. Luttwak’s The Rise of China vs The Logic of Strategy. As a closing remark, timing most likely meant Pilger had to force into his documentary a brief comment about Donald Trump. He says, “the new president Donald Trump has a problem with China. And the question is whether Trump will continue with the provocations included in this film and take us to war.” Well, this is quite a departure from Pilger’s earlier comments about the president-elect, most of which were evident at a speech he gave in March at the University of Sydney (an edited transcript can be found here). Well, Pilger has now got his wish. His maverick is set to take charge. If the “totalitarian with an occasional liberal face” of Hilary Clinton is gone, then one can only suppose that Pilger is ecstatic that the ‘totalitarian with a permanent totalitarian face’ of China and Russia will now not be troubled by an isolationist president-elect. The inauguration of Taiwan's new president is an opportunity, not a crisis.